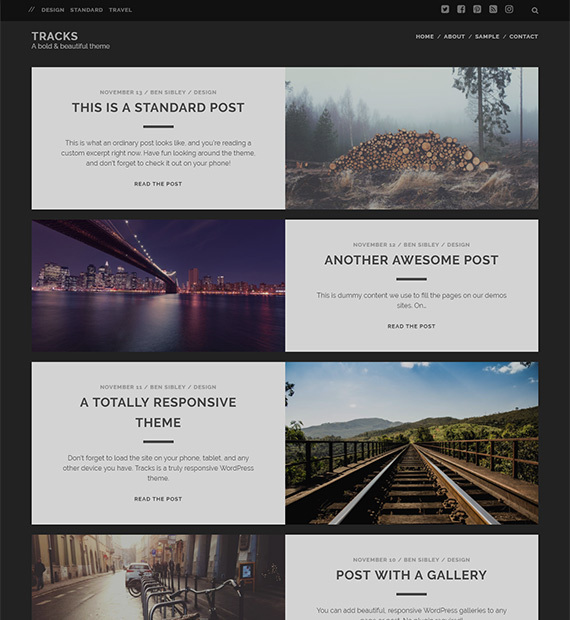 Tracks is a bold, creative and modern blog themed WordPress theme that is best suited for personal blogs, magazines and even photography blogs and sites. The theme features over 50 social media icons as well as logo uploader. Dark, clean and minimal design of this theme is sure to take your site to the next level. Being a free and multipurpose theme, you have the freedom to use this theme on as many projects as you wish.